I can so clearly recall all of the “firsts” when my Father passed away. The first birthday without him here. The first anniversary for he and my other Mom. The first Christmas. First Easter. First Thanksgiving. The first time I had a free moment and thought, “I need to call Dad” only to realize that wasn’t possible. “Firsts” play a big role after loss. But we also celebrate “firsts” in good times, too. First birthday for a child. First anniversary to a newlywed couple. First date. First touchdown in Pop Warner Football. First homerun. First basketball that makes it to the hoop. First kiss. First baby. Our lives are full of “firsts”. It’s been a year since people who knew and loved us and those who began as strangers prayed for our son. He was covered in love. Covered in prayer. Those prayers were answered and his story has had a happy ending. We know not all stories end joyfully. We know not all prayers are answered the way we would like. We do not take that for granted. We are grateful. It’s been odd to me how aware of this impending day I have been. Like, I was holding my breath waiting for the scary part to pass. He had a 1 year MRI last week and everything came back clear. We were concerned just a wee bit because of his last ones but this one showed no new growth. Hallelujah! He’ll have to more than likely have one every year for the rest of his life but that’s a small price to pay for peace of mind. So, knowing that all is clear……why am I still holding my breath? Why the pensive thoughts about it? 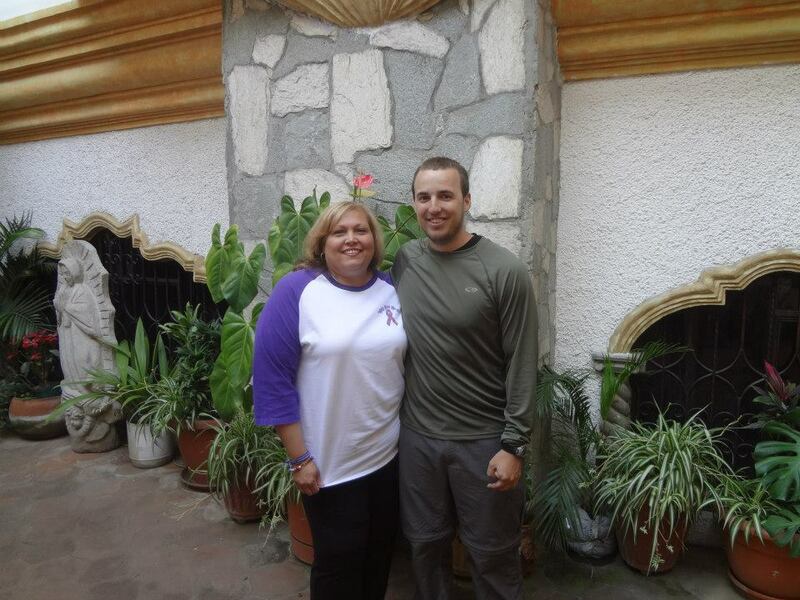 Claiming this…..
My son and I in Antiqua, Guatemala March 2014 serving on a mission trip together. Joy! The bottomline here though is that my son is doing fine. It was hard a year ago. So hard. And he was amazing! He handled this like a pro. He had a peace that I learned from. He remained strong in his faith…it was unwavering. He encouraged others around him that everything would be okay! Because of that, I never had a really good cry about it. Maybe that’s why I’m pensive today. Because a skilled surgeon cut into my son’s skull and removed an unwanted visitor. A brain tumor. May he never, ever visit again. If you’re interested in the time around the diagnosis and surgery a year ago, check out the links below! Praise God! He is faithful in the storms.